Despite the rich and accessible flavours, it has not found its way to Pakistani or Indian mainstream cuisine. How do you tell the story of a cuisine that lives and breathes in two countries and refuses to identify itself with either? I spent the last few weeks speaking to Sindhis in Pakistan, India and overseas about the history of their families and their food. Sindhi cuisine, which features a range of complex flavours through simple, seasonal ingredients, defies simple categorisations. It is informed by the subcontinent’s rich migrant history, yet firmly rooted in its geography while tying thousands of diaspora Sindhis to a land they might never have visited. “When my grandparents migrated to Pune from Sukkur, they wanted to make the area’s customs their own. They were Hindus, of course, but our customs weren’t very Hindu. They were closer to Muslims,” Ankiet Gulabani tells me. 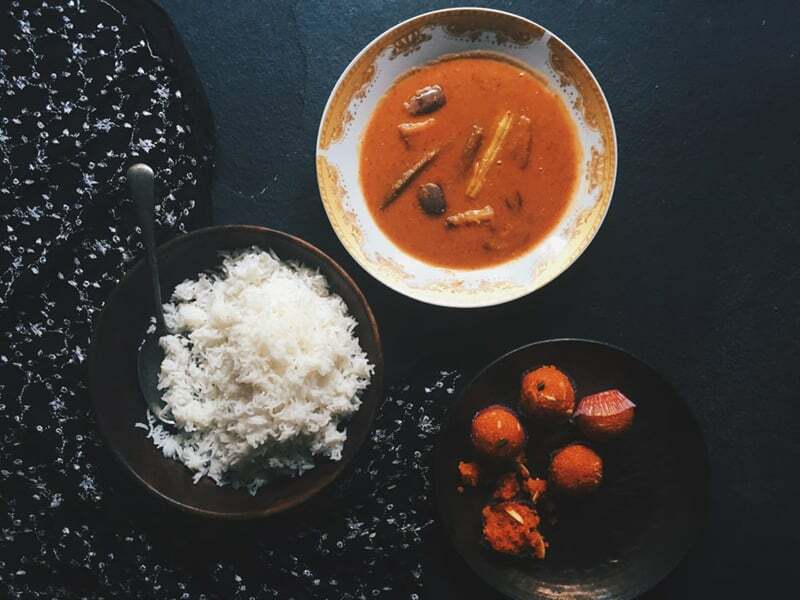 He runs the popular Mumbai-based food blog, Belly Over Mind, that covers a range of modern and traditional recipes (You can also find on the blog the recipes for the dishes in the photos below). 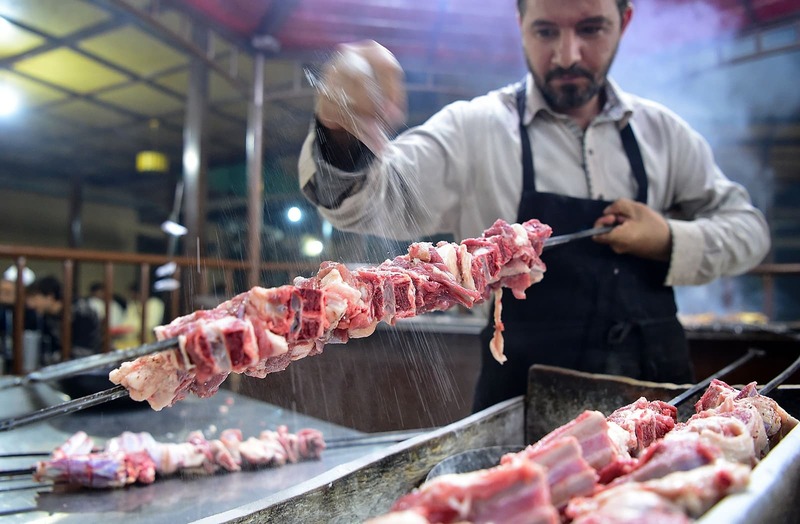 Pooja Makhijani, a writer based in New Jersey whose grandparents migrated from Karachi and Hyderabad, also found that the food Sindhis grow up eating — bone marrow, liver, kidney — are unfamiliar to many other Hindu north Indians. While Ankiet’s family was initially conscious about the distinctiveness of their cuisine in Maharashtra, like other Sindhi families who migrated during Partition, they did not give up their Sindh culinary traditions. In fact, Sindhis both in India and overseas predominantly cook Sindhi food at home. “People who are displaced, in whatever way, cling to their customs, language and traditions. (Hindu) Sindhis have not changed. They have exactly the same food habits regardless of where they are,” Pooja tells me. While Sindhi food, influenced by Central Asian culinary traditions, certainly has strains of Mughal cuisine, it is distinctive enough that even in Pakistan, Sindhis find that the food they have at home is not necessarily what their friends eat. Speaking to an old college friend, Shahwar, who grew up in Karachi but whose family is from Larkana, she said she did not realise that her friends did not necessarily grow up eating bhindi aloo with roti or bori kutti for breakfast or busri, which is a sweet roti. Despite the rich and accessible flavours of Sindhi food, it has not found its way to Pakistani or Indian mainstream cuisine. While you can find Sindhi food in smaller highway restaurants in the province in Pakistan, it is difficult to find dedicated Sindhi restaurants that serve the full range of Sindhi classics in major cities. Sumayya Usmani, Glasgow-based food writer and author of Under the Tamarind Tree, finds that the enjoyment of Sindhi food has remained regional. She hypothesises it could be because Sindhi food is less meat heavy and spice laden, or that Sindhi recipe sharing is mostly within families. To this point, Ankiet laughs that Sindhis like their home-cooked food so much that they likely will not seek out Sindhi food at restaurants. We may be turning a corner. There is a promising trend of new restaurants dedicated to Sindhi food — such as Café Sindh in Karachi or Sindhful in Mumbai — and of young Sindhis excited to share traditional recipes with the broader public. Sapna Ajwani, a London-based chef, quit her job in banking four years ago to start a supper club focused on Sindhi food. Sapna’s family are Amil Hindus originally from Hyderabad, Pakistan. She learned to prepare Sindhi food by watching her mother, aunts and grandmothers cook at home. 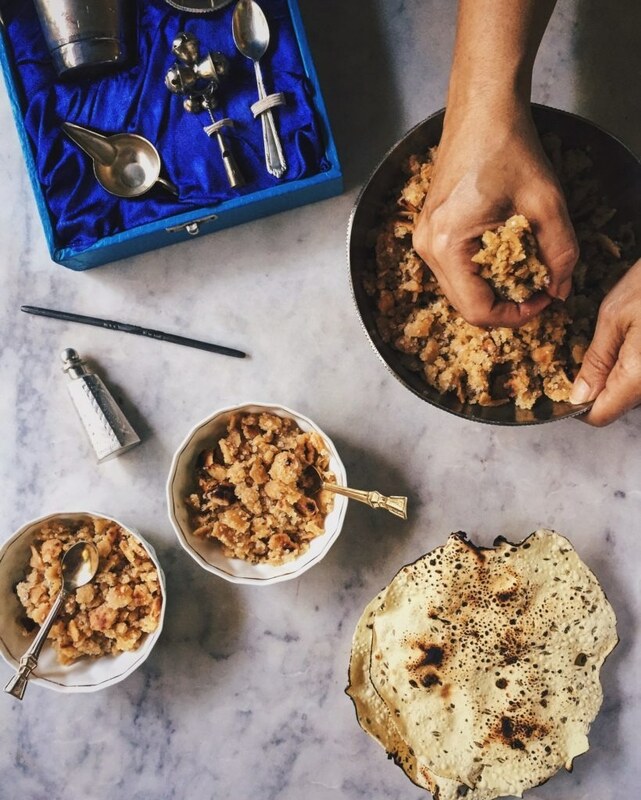 Sapna’s supper clubs feature a range of Sindhi dishes that are rooted in her family’s Rajput history: bhee chaat, which is steamed lotus stem in chutney or kairkumatsangri, desert beans and berries cooked in mustard oil. She would often serve Sindhi food to her friends who encouraged her to start a Sindh-focused supper club since the flavours were so distinct from the Indian and Pakistani food they normally found at restaurants. Sindhi cuisine draws upon a stunning variety of greens in their food. The Sindhi staple, sai bhaji, for instance, is a mix of lentils and at least three types of greens: palak, methi, dill and sometimes khata palak. Along with the use of greens, it has a push-pull of texture and flavour, Pooja and Ankiet explain. There is tartness through spices such as amchur, dried pomegranate seeds and tamarind; and frequent coupling of sweet and savoury. Daal pakwan, for instance, by itself is bitter and creamy but it is served with sweet lolas that are thick flatbreads doused in syrup. 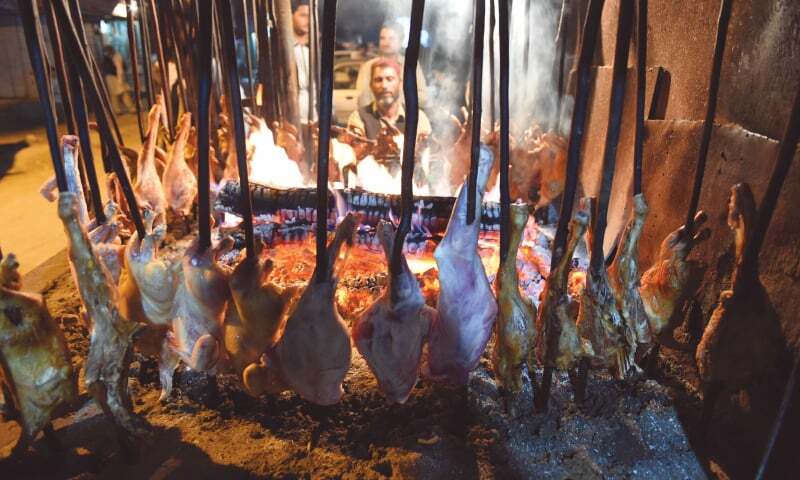 While some Sindhi dishes remain unknown to the public, others have become quite popular. Kausar Ahmed, culinary instructor and author of the cookbook The Karachi Kitchen, grew up eating Sindhi biryani and palla (hilsa) every Friday. She would make weekly trips to the fish market with her mother to get palla machi, which is a popular Sindhi delicacy cooked in numerous ways. One method, according to Kausar, is to marinate the fish in a dry spice rub and fresh ginger and garlic and pan fry it till the skin is crispy. The other is to prepare it in a flavourful gravy and serve it alongside cumin rice, green chutney and kachumber salad. Ankiet tells me that palla carries great significance for Sindhis, as Jhulelal, who in Sindhi Hinduism is regarded as the incarnation of the Hindu diety Varuna, is frequently depicted as riding the fish. According to Sindhi folklore, Jhulelal controls the currents of the Indus and when palla swims against the current upstream to reach the Jhulelal/Zinda Pir shrine in Sukkur, it is rewarded with its distinct taste. 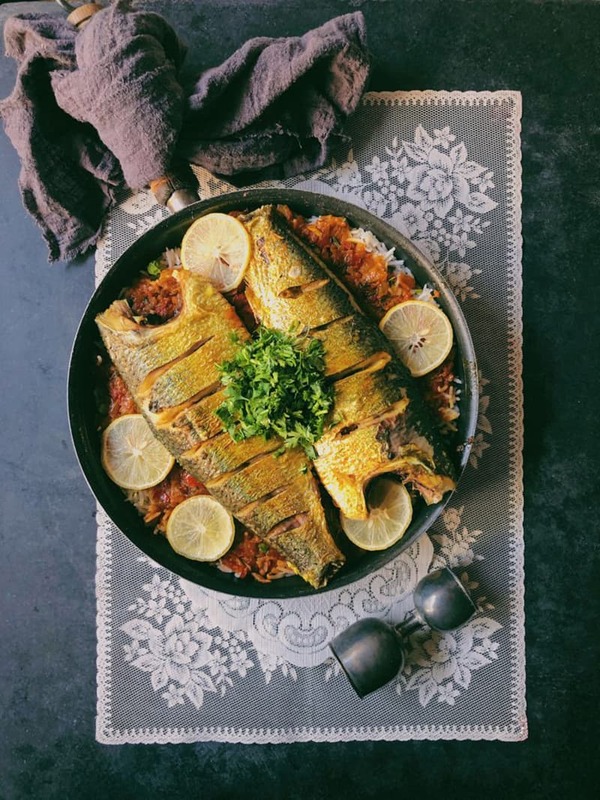 In a description of Jhulelal and his relationship to the Indus and palla, Parineeta Dandekar of the South Asian Network of Dams describes the fish as the unofficial regional dish of Sindh. It is the delicacy of honour in most Sindhi festivals and given to relatives visiting from cities. Ankiet’s grandmother frequently speaks of the hilsa she had in Pakistan. 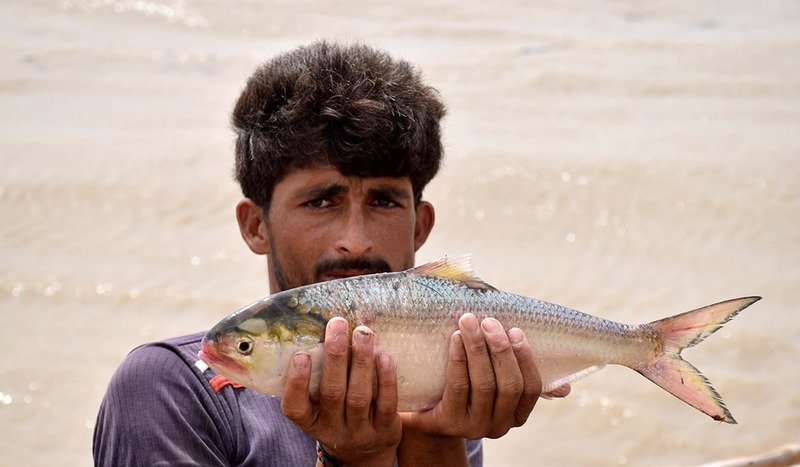 While they live in Mumbai, that is a port city, he said that his grandmother finds that the hilsa she has here is never as good as the one they had in Pakistan. I hope that Ankiet will one day try palla machi in Pakistan and that it lives up to his grandmother’s memories. I hope our chefs and resturant owner abroad develop the confidence of starting purely Pakistani resturant rather then selling it under the guise of Pakistani/ Indian food.. if smaller countries like Afghanistan, Iran, Bangladesh, Vietnam, Thailand, Singapore can do it, hopefully we can do it as well. Is the Sindhi Hilsa known as Palla in local dialect same as the Hilsa found in Myanmar , Bangladesh and India . Can somebody clarify. Food and exercise habits have an important role in determining national health outcomes and indiicators. Well prepared food that can preserve nutritional content of natural ingredients are important and this knowledge is a crucial component of a nation's cultural and knowledge base. In Mumbai, when I was very small, I had three Sindhi Hindu neighbours. Sometimes the ladies from their family gave us food on special occasions and the food used to be heavenly. Good read. I get to order Sindhi dishes on Swiggy and couple of Sindhi friends will cook up something Sindhi once in a while. 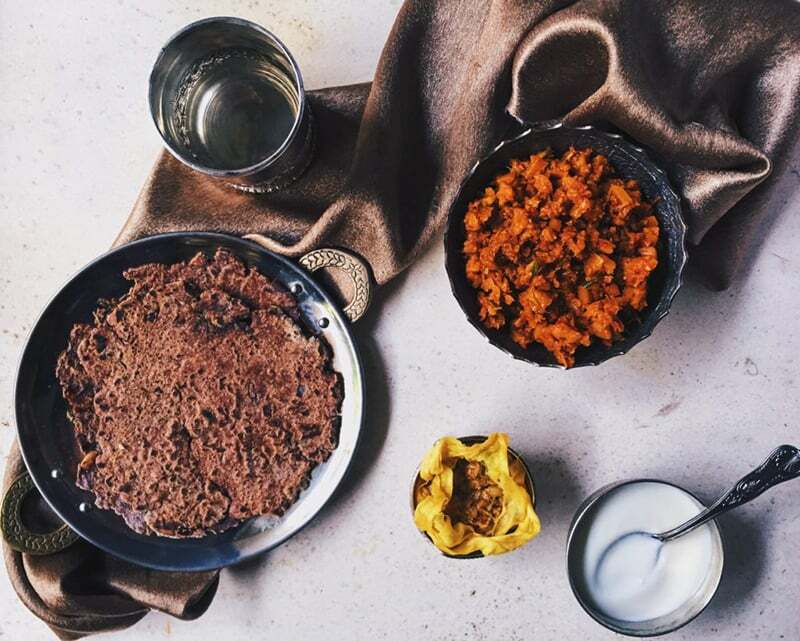 Sindhi cuisine is no longer in hiding, not in India at least. Great Sindhi foods. Love those Palla's. However, they are a bit pricey nowadays. A mouth watering article by Ms.Maryam Jillani.The world famous Sindhi Biryani and Palla fish exclusively found in Sindh.Anyone after enjoying these two Sindhi Dishes would be forced to say in Sindhi Language,"Sindhi Mani Wahji Dadhi Soohtri Aahey". I am so excited to read this article . Sindhi food has been never discussed anywhere , glad to found that there are such tasty food in SINDH & i love them all . Needs to be promoted more in restaurants all over. @S BOSE, yes Hilsa is same fish that is called Palla in sindh, you can find it in wikipedia as well. @Ehsan, Extremely well said. Most foreigners know the difference and have sought Restaurants with Pakistani cooks only, at times asking directions to a Pakistani Restaurant. Pakistani sindhi dishes are different and an absolute delight. @S BOSE, yes it's the same fish - Palla, Hilsa, Ilish, different names, same fish. Interesting isn't it, Sindhi and Bengali cuisine have similar ingredients, freshwater fish like Rohu is also a Sindhi staple. @Shashi, you will be surprised, I have met so many people who think Sindhi, Punjabi, same difference. My in laws arr from UP, they had no idea about Sindhi food and so many of my friends. People in Mumbai know because so many migrated there, and there too their knowledge is restricted to koki, dal pakwan, Sindhi kadhi wherein there's so much more - different kinds of vegetables, herbs, greens, fish, meat, breads etc. Sindhi food is popular in parts of India like Mumbai, Ulhasnagar, Ajmer, Delhi. Sindhi favorite dishes are Sindhi curry, Sai Bhajhi (Spinach cooked with lentils and 2 additional greens), Pakwan Dall, Sindhi mutton, Gol Guppa (with boondi and potato and not with garbanzo bean), Tikki, Lolli (or Koki). And Sindhis have carried their cuisine wherever they go. We live in US and most of the Sindhis cook Sindhi food at home. It is very similar to Indian cousins. There is so many variety in Indian society and Sindhi is one of them. Among them busri is my favourite. But somehow I couldn't imagine having its commercial version , I would prefer the home cooked one!! Photographs could have been better. They can't lift the belly above the mind. Dawn stop publishing such mouthwatering articles. I am so hungry. At least omit the pictures. Great article and thank you. The author has focused on main course dishes but there is an integral part of Sindhi meal that was left out - The humble papad and sindhi Kaddi. I would like to mention Sindhi sweets are also unique and mouthwatering like the Sev Barfi, moanthaal, khorakh, ghear, mithi boondi and more. Sindhi street is famous in certain towns in India which include cholla-tikki, daal pakwaan, kokki amongst others. Would be interesting to find how Sindhi food has diverged in both countries post 1947. @Ehsan, This comment is crazy. Comparing Bangladesh and Vietnam to Pakistan as a whole makes no sense. This would be like comparing Bangladeshi food and Sindhi food. We are different. Embrace our differences. Why popular koki ,(an onion paratha) is missing from the article? Whatcabout fried aloo and bhindi together - another popular Sindhi sabji. I remember the Palla to be a delicacy my grandmother who was from Thatta used to cook on some Fridays. People used to visit if they heard she had cooked it. I never got to taste it but one day soon I will revisit Sindh to have her relatives make it for me, the traditional way. Amen. Do not forget Sindhi Kari, Kheecha, toak etc. I have enjoyed Sindhi cuisine several times and love the heavy use of fish, vegetables, mild use of butter/ghee and moderate spices bringing out the flavor of the main ingredients. 'Sehal' pulla fish despite a heavy presence of bones in the fish is an amazing delight. Would love to patronize restaurants serving Sindhi cuisine. @S BOSE, Yes both are same. The restaurants should add all these dishes in their menu. @S BOSE, Yes its called Palla in sindhi. Hilsa is very popular among Bengali community in Europe so is Palla for Sindhis in Pakistan. Mouth watering and beautifully written. Now where can we taste them. Any Sindhi Restaurats nearby ? Most Sindhis are involved in other businesses around the world. Amazing article! Well written and quite interesting. Love from India. Sindhi Biryani is one of the best if not the best. It is so unfortunate that it is not so famous here in the USA. PALLAH is so exotic a fish dish that you can't imagine unless you had tried it, specially of Saiwan shareef. @S BOSE, Its different from Hilsa and basically a name of fish found in river Indus. It has unique taste and prepared with special technique. The Palla fish is stuffed with home grown spices and cooked in earthen pot. Ahaaa Sindhi food is delicious just like all foods of my country. Welcome to Sindh friends we have all foods for veg and non veg people. I'm Sindhi friends from Pakistan. We welcome tourists to Sindh from all over the world and Hindu tourists can come and visit the land where it all began, specially from India. Just don't come beating war drums because that is not good for both nations, come with love and you will get lots of love back from Pakistan. It will be great if the readers can post some recipes used at their home for Sindhi cuisine here and we can all enjoy in our homes. @Pakistani1, I second your thoughts.